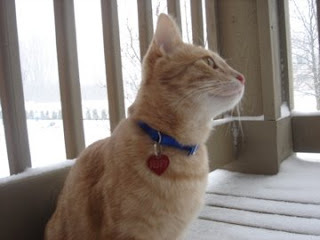 It is officially spring….can’t you tell??? No, these pictures were not taken during winter….in fact, these pictures were taken today. I mean don’t you always have snow the day before Easter? 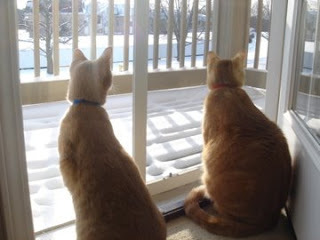 The boys enjoying the snow from inside. 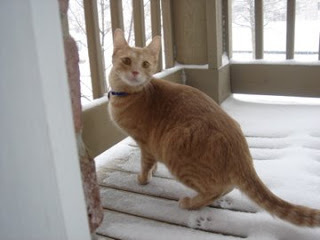 Henry totally digs the snow….he is brave and goes outside. 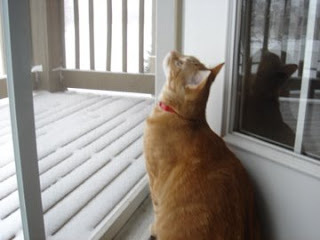 Pancake prefers to watch the snow fall from inside….I mean come on, he needs to keep his little feet warm right? 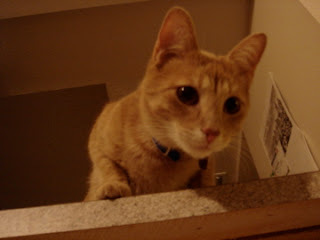 Henry showing off his profile…isn’t he a handsome little guy? His red heart-shaped name tag really gives him a little extra somethin’ somethin’. 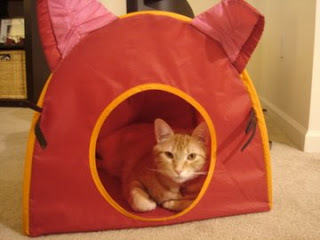 Pancake taking a nap in his kitty house….he could model too…possibly for all of those plus-size cat modeling gigs.